Yeah, business as usual. This is where a service like LastPass might come in handy if you’re drowning in a sea of passwords. To activate this service, you’ll have to download an app like Google Authenticator and scan the code provided in our website. That will generate a random security code that you’ll get on your phone and will let you start using the two step authentication process. You’ll also get an emergency recovery code in your email, in case you ever lose your smartphone. If you used your recovery code to log into your account, then the 2 fact authenticator is now disabled. You have to scan a new code in order to activate it again. Voilá! 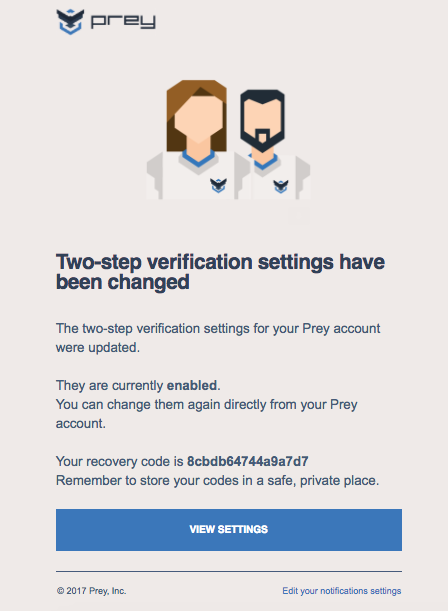 When the two step verification process is activated, you’ll be requested to provide both your password and random security code each time you want to access your Prey account. Please note that the code will only be valid once, so you’ll get a new one each time you try to log in. 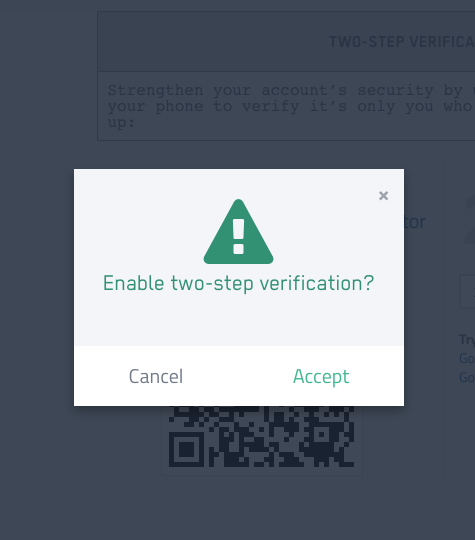 On the next screen, the app will confirm that the time has been synced, and you should now be able to use your verification codes to sign in. The sync will only affect the internal time of your Google Authenticator app, and will not change your device's Date & Time Settings.